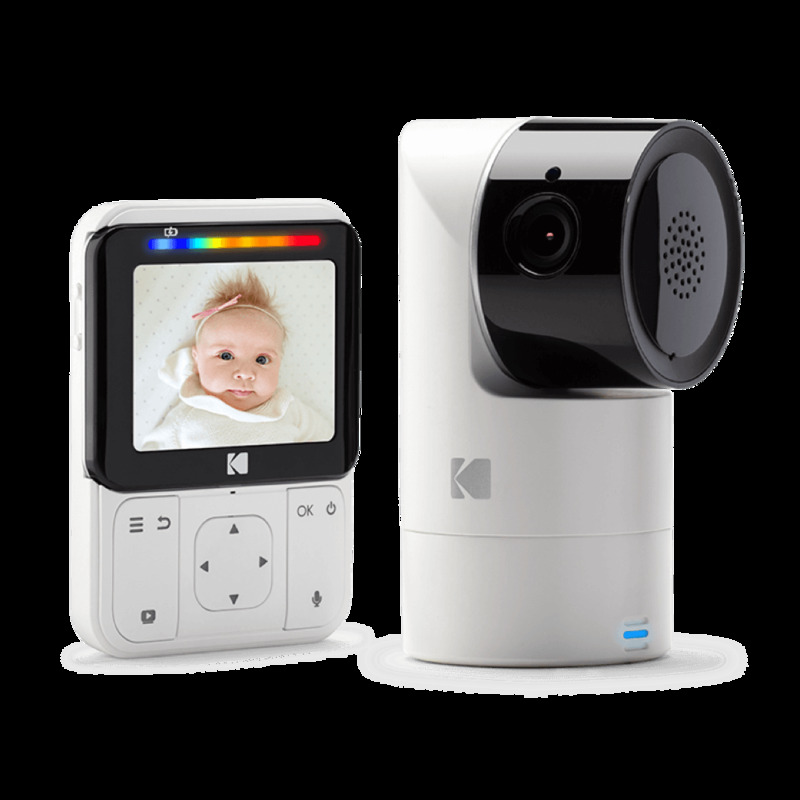 The KODAK CHERISH C225 Baby Monitor helps you stay connected to your little ones at home or on the road. With built-in batteries and a camera that allows you to tilt, pan and zoom using the KODAK Smart Home App, WiFi connectivity lets you stream HD video and crystal-clear audio directly to your device. With a KODAK baby camera, you can cherish all the beautiful moments of your baby's development from wherever you are. The KODAK CHERISH C225 lets you keep an eye on your little one, whether you’re right next door in the living room or abroad. The WiFi connected video baby monitor delivers HD video and audio any time of day or night, anywhere in the world. Receive a smart feed to the baby video monitor over WiFi and stay connected via your smartphone. The KODAK CHERISH C225 is designed to work best in a home up to 4,000 square feet. Built-in rechargeable batteries in both the baby monitor and camera makes your KODAK CHERISH C225 mobile. With extended battery life you can easily monitor activities throughout the house or hotel and stay connected during a power outage. Large 2.8-inch widescreen display delivers a crystal-clear HD stream from the video baby camera. The result is an uncompromised image that lets you keep a close eye on your little one. Receive Motion and Sound notifications to the KODAK Smart Home App instantly. You’ll always know how your little one is sleeping, whether you’re at the office or right in the next room. 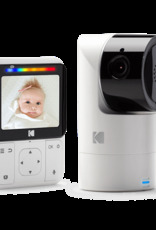 KODAK Smart Home App and SD-Card Recording lets you capture the video stream from your KODAK CHERISH C225 video baby monitor, so you can revisit special moments for years to come and share them with family.